Stemming is the process for reducing words to their stem. Stemming programs are commonly referred to as stemming algorithms or stemmers. 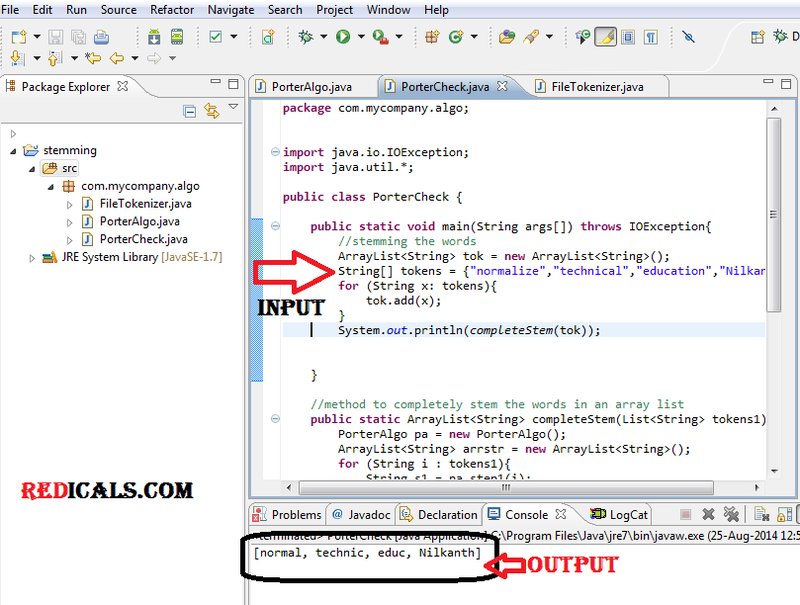 So let us start with java program for Porter Stemming Algorithm. Step 1 :- Open Eclipse IDE, Goto File>> New >>Java Project. Step 7 :- Click on DeBug and Run the Program.